Even though the knee is a fairly small part of the body, it’s frequent use and central, load-bearing position means it is one of the most common sources of pain in the human body. There are many causes of pain, but we’ve listed some of the more common ones below. A common cause of knee pain is injury due to heavy use or mis-use. Physical activities such as sports and work can often cause an injury, either through over-use or through twisting or applying weight on the knee at an unsual ankle. Being overweight also places an unnatural amount of strain on the knee and makes you far more suseptible to knee injuries as a result of physical activity. This disease typically affects the severly overweight and abese teenage boys who are also active. This condition is caused by the tendons that are attached to the shin bone pulling away from the bone during certain movements. Tendons are wirey tissues that hold muscles to bones. If they become inflamed or torn, it is a condition called tendinitis. Ligament are a type of tissue that holds the knee together. Humans have ligaments that connect the bones in the knee along the inside and outside edges and two that criss-cross within the knee. These ligaments can quite easily become over-stretched or torn during physical activites. Depending on which ligament gets injured, it can cause varying degress of knee pain and your knee could become shakey. If your knee cap becomes dislocated, it can cause knee pain. Instead of your knee cap resting in its normal location at the bottom of yur thigh bone, it can slide to side, most often towards the outside of your leg. This type of dislocation most often happens when someone has all of their body weight on their knee and they twist or change irection quickly. 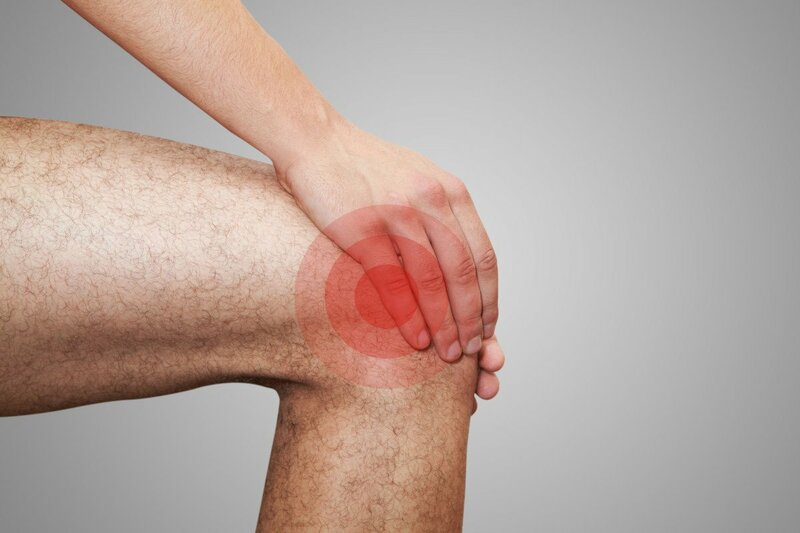 Knee injuries are very common and can be quite painful.